The upcoming movie My Blind Brother is set to offer a salve to Parks And Recreation fans still mourning the show’s end. 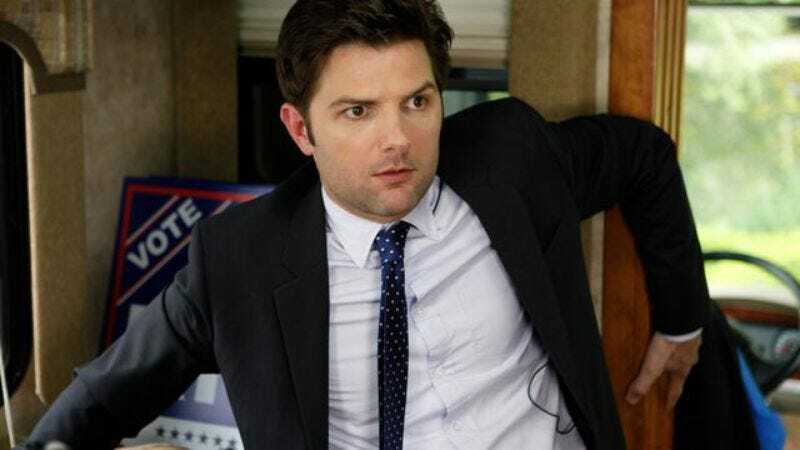 Deadline reports that the film, which writer-director Sophie Goodhart is adapting from her own Tony Hale-starring 2003 short, will reunite Adam Scott with his occasional Parks co-stars Nick Kroll and Jenny Slate. (Kroll and Slate made repeat guest appearances on the recently departed NBC comedy as, respectively, The Douche and Mona-Lisa Saperstein.) White Collar’s Charlie Hewson has also joined the cast. According to Deadline, the movie will star Scott as a blind, “handsome man who gets all the women and is the perfect athlete,” Kroll as his “less handsome brother, whose role in life is to serve as his brother’s eyes,” and Slate as the woman they both fall in love with. From that description, the movie does sound like the sort of shaggy indie comedy that draws Nick Offerman to a role as a gruff-but-warmhearted dad/boss/addiction counselor like a moth to flame, so there may be hope yet for an even larger Parks And Rec reunion.